At St. John Lutheran, being a church member is about more than attending Sunday services. Growing spiritually doesn’t happen in a day or alone. It happens when we apply Jesus’s command to love one another by connecting as a community to support each other on our life’s journey. We know we thrive better when we have places to go where we are both welcome and known. This is especially important in the lives of children. At St. John we are dedicated to helping parents in their efforts to raise healthy, resilient kids. We recognize Jesus held a special place in his heart for children and it is our mission to show them God’s tender compassion and to teach them God’s enduring word to guide them throughout life. 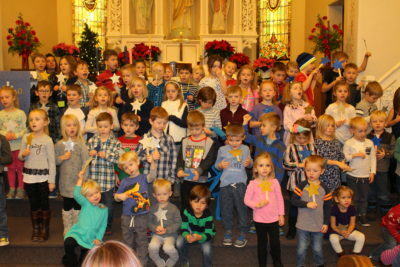 Here are just a few examples of the great activity programs and small groups at St. John that keep us connected as God’s children – no matter what age. St. John is proud to support Camp Onomia, a 100-acre Lutheran outdoor ministry located north of the Twin Cities on Lake Shakopee in Kathio State Park. It’s park-like environment is a wonder- filled place that nurtures faith and equips kids and adults with the tools they will need for life’s journey. From children and youth to adults and families, to grandparents and grandkids…we know you will love it there!